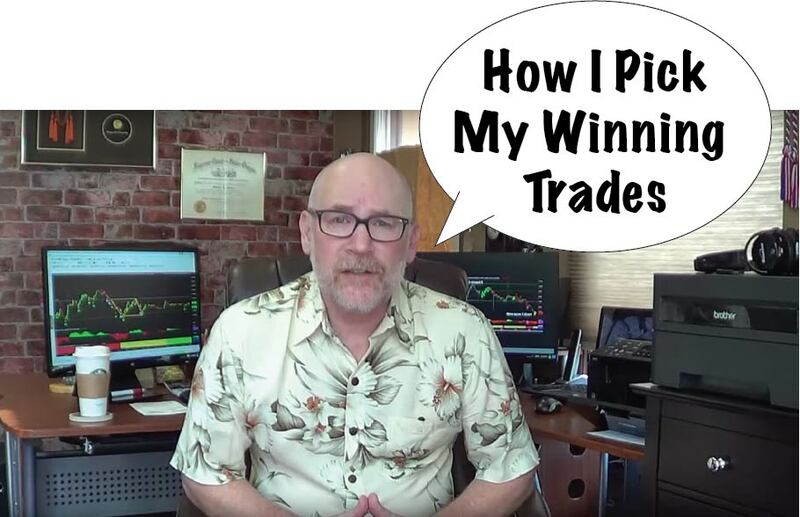 very successful methods to keep my winners big and losers small. 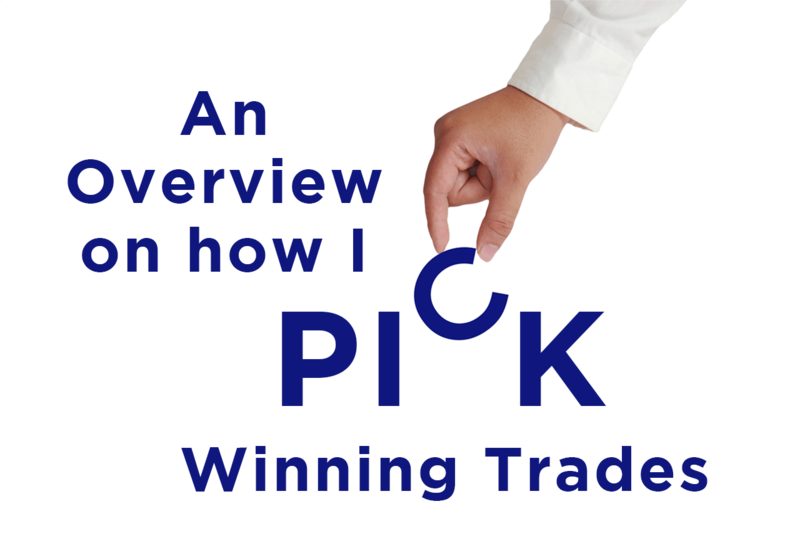 PDF File that explains how Dean Jenkins of FollowMeTrades.com picks winning trades. Drop me a note and I'll be happy to answer any questions you have. I'd also be happy to have a brief one-on-one phone call with you. Send me a note and we'll get it scheduled. this is different than a long term “Buy and Hold” investment strategy. I primarily analyze the Price Patterns on the chart. I don’t study earnings reports or company forecasts. I believe strongly that “Fundamentals” like earnings, products, management, etc. do matter. I also believe that the price of a stock is a reflection of what the market thinks of a company’s fundamentals—that everything that is known about a company is reflected in the price patterns on the chart. A stock’s price movement is based on what the market believes about the company. These price movements sometimes have a clearly discernible pattern that can provide a basis for predicting the next price move. Price and Volume are the only realities in the market – everything else is subject to interpretation, manipulation, speculation and emotion. I base my analysis on the realities of Price and Volume that present themselves in price patterns on the chart. The Trade is in the direction of the Major Trend of the overall market or sector. I do occasionally take “counter-trend” trades when the probability of winning is very high. The Trade has a High Probability of winning, based on my analysis. The Trade has a High Risk/Reward Ratio – meaning the Trade has the potential to make much more money than it will lose if the Trade fails. Out of 10 trades: 6-7 will win, 1-2 will win REALLY big and 3-4 will fail. The Trade has a High Capital Efficiency – meaning I do not tie up all of my trading capital in one or two trades, but rather try to only have ~10-15% of available capital in a given trade. This is different than diversification. I often by Put or Call options to improve the Capital Efficiency of my trades. My published picks include specific option contracts when appropriate. I do pay attention to Sector Weighting and limit Trade overexposure in sectors. Ralph Nelson Elliott developed Elliott Wave Theory in the 1930’s. The Elliott Wave Principle posits that collective investor psychology, or crowd psychology, moves between optimism and pessimism in natural sequences – or waves – a series of impulsive and corrective waves. I seek to find trades for Wave 3 and Wave 5. These are the “Impulsive” Waves with dramatic price movement. 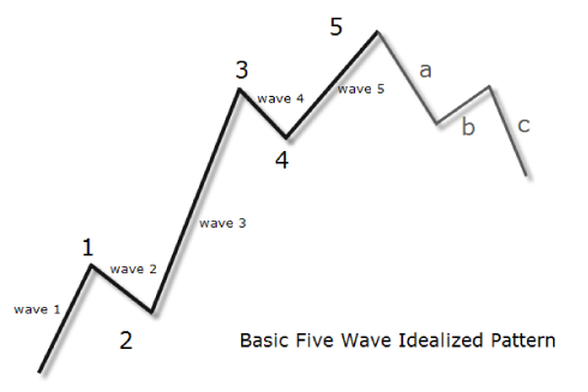 Wave 3 and 5 can occur in either a “Bullish” uptrend or a “Bearish” downtrend. The same principles and measurements apply. I trade both Bullish and Bearish markets. Fibonacci Retracements and Extensions are used extensively in technical analysis of stock charts. Stocks do not move up or down in straight lines, but move in a series of waves that quite often begin and terminate at or near Fibonacci Retracement and Extension levels - and these levels quite often also coincide with the "waves" of movement between optimism and pessimism described in Elliott Wave Theory. 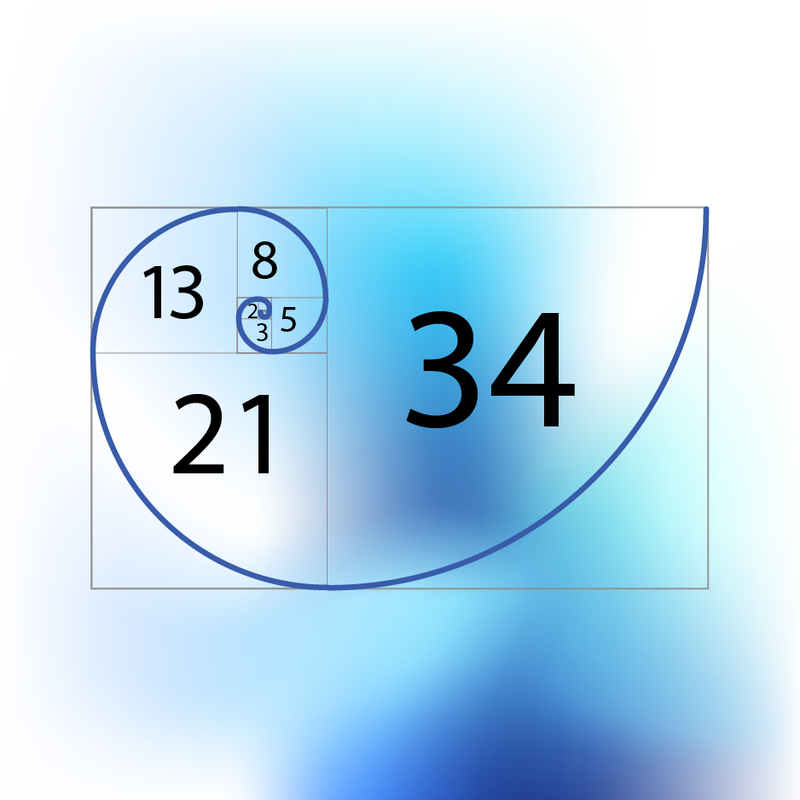 Leonardo Fibonacci was an important Italian mathematician from the middle ages (1170-1250.) His discovery of “Fibonacci Numbers” and their “Fibonacci ratios” is considered one of the most important mathematical concepts ever and is used widely by scientists, artists, economists, architects and in many other disciplines as well as appearing all around us in nature. The Ratio .6180 is called the “Golden Ratio” and appears all around us in the form of the shapes of things ranging fromsnail shells and flower petals to pine cones, pineapple scales,spiral galaxies and hurricanes. I use ART® Applied Reality Trading ® Software to help with Elliott Wave count and to identify key support and resistance levels for Stop Loss placement and for scaling out for profit. all together to identify high probability, high reward trades. Following strict Risk Management rules – at all times. charts each week, finding the absolute best trades. I also always have a couple dozen charts that I am watching and waiting for my trade criteria to be met. I publish an average of 1-2 trades per week. Each trade published will include; Price to Buy at • Initial Stop Loss price • Target price. Weekly Updates will include; Brief commentary on the trade as it plays out • Updated Stop Loss price level • Price levels and proportion of shares to scale out of the position for profit. Price levels to exit the trade. and share in my success! FollowMeTrades.com Stock Pick Subscription $127 a month For more information Click Here.